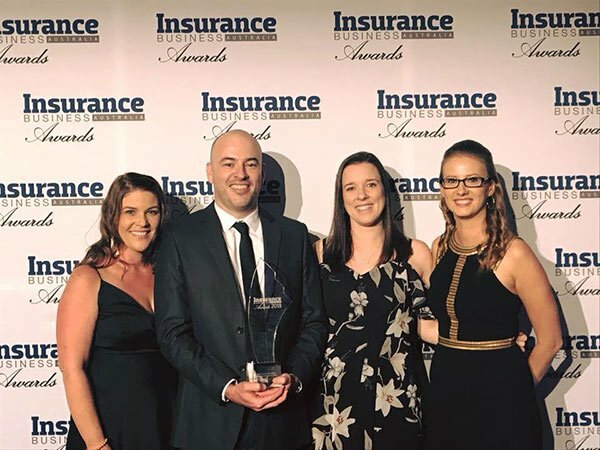 Earlier this month a few of the Trade Risk team travelled to Sydney for the 2018 Insurance Business Awards. We were finalists in two categories; Best Customer Service and Brokerage of the Year (up to 5 staff). Much to our surprise and delight, we walked away with the Best Customer Service award. 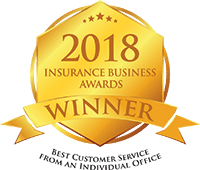 It’s such a fitting award for our team, as customer service is at the core of everything we do at Trade Risk. We were up against some big established players, but we prevailed, which is pretty much the story of our entire business up to this point! It would be easy for other brokers to look at Trade Risk and think we’re just an online player. Cheap premiums, high volumes and low service. The truth couldn’t be further from that, but I feel it’s the attitude that many old-school brokers have towards us and other brokerages who are embracing digital for both marketing and office functions. Yes we do a lot online. A client can find us on Google, quote and bind a policy online, and have their certificate without ever talking to a real person. Is that poor service? No, it’s just giving the client what they want. What makes it great service is that the client can choose to have as much or as little contact with us as they like. Our clients love that they can do everything online, via email or over the phone. But they also like that reassurance that they have a dedicated account manager sitting in a real office who can assist them anytime when things get more challenging. All of our account managers are qualified and experienced insurance brokers, and this is one of the main differentiators between us and the direct insurers, as well as some of the other online brokers. Pictured above: Cheryl (Account Manager), Shane (me), Jessica (my wife) & Bronwyn (Account Manager). Providing great service doesn’t mean having loads of face-to-face contact with clients. It means giving the clients exactly what they want in a way that works best for them. At Trade Risk we simply do whatever we can to ensure our clients are looked after. There is no rocket science and no special secrets. We simply put the customer at the centre of everything we do. With over 500 600 positive client reviews, collected and verified by a third party, we can actually show how strong we are on customer service rather than just writing about it. I was a little disappointed not to win the Brokerage of the Year award that we were also a finalist in, but if we had to win one category, it was absolutely the Best Customer Service. It’s what we do. A huge thanks goes to our thousands of loyal clients, our fantastic industry partners, and last but certainly not least, our amazing past and present staff who have made it all happen.